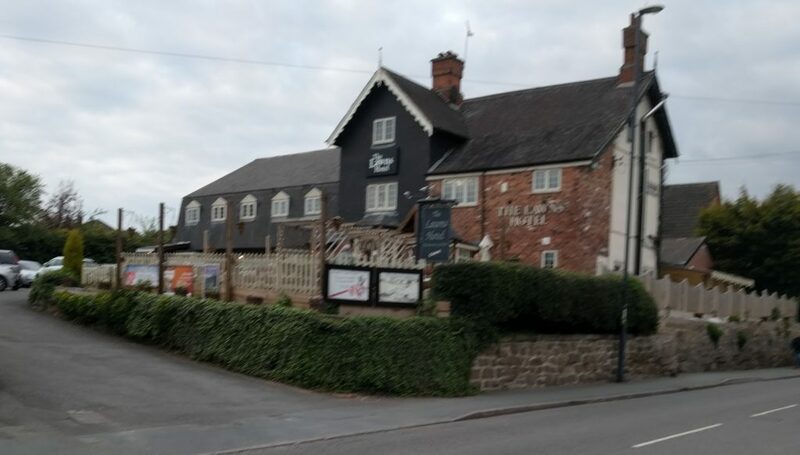 In my past posts about Village Folk I have alluded to the venue (The Lawns Hotel) in Chellaston being very much like a fortress. On reconsideration, it may in fact be more like a castle. Whatever your mythological leanings and interests one thing for certain is that within English music Martin Carthy is a wizard. Not a pinball wizard, not quite Gandalf or Merlin, but certainly a folk wizard of some sorts who lives and breathes the music he plays. You could also call him a bard as he is also an example of a widely touring artist often on the road, and at many fine establishments. 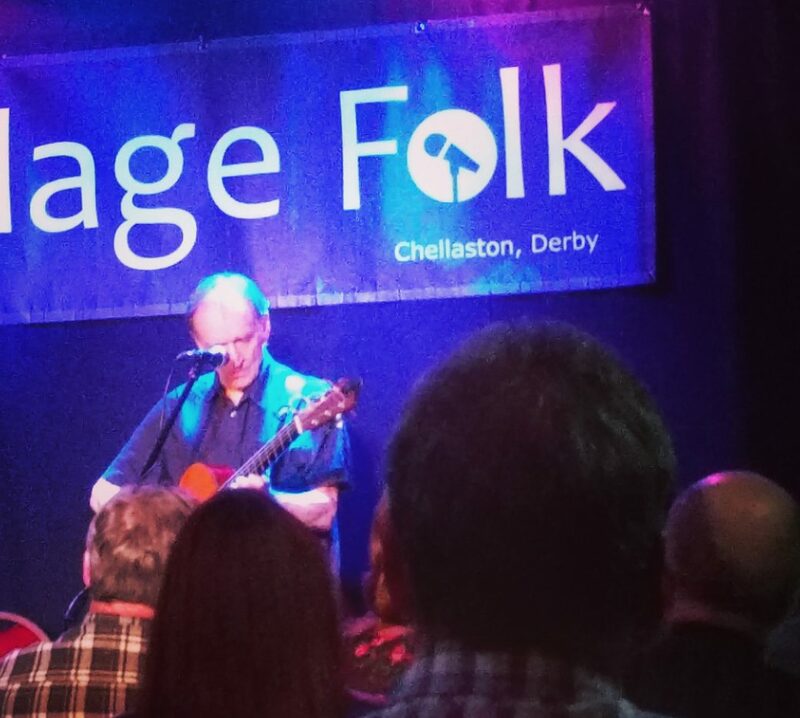 In April we see ourselves back at Village Folk to see Martin Carthy for what can only be described as the most recognisable act they’ve had to date. 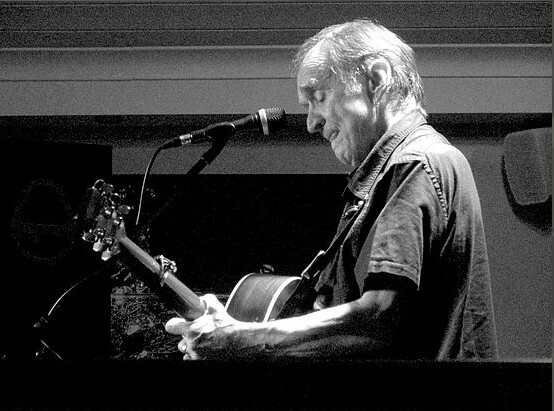 I don’t know anyone (outside of indie folk, anyway) who would not know who Martin Carthy is and his part within the jigsaw of acoustic music and history really. With 50 years of performance under his belt in a number of high-profile lineups and a Radio 2 Lifetime Award he is not really a guy who flies under the radar, but on the other hand he is as much a man as any other with an air graciousness and a down-to-earth personality. He fits well with the warm reception that Village Folk brings and it seems that the audience agree. Seats are packed closely, the venue sells out quickly and the action begins. Taking the stage for the latest, big-name show (joining some excellent previous acts such as Sam Kelly, Harp and a Monkey too) tonight it seems especially the case that there is an understanding and a knowing nod that Martin Carthy is as big as an act as you can get; everyone is incredibly excited. He is a leading figure in the folk tradition; if the country had a hall of folk heroes with statues and everything (it might do, I don’t know), Carthy would be there in Marble, tall and proud with his head turned as he tunes his acoustic guitar for the next beguiling rendition. On a personal level Martin Carthy always interests too. The joy I get from stories;how they are told, collected and adapted is a hallmark of Carthy’s talent, and I take great interest in how he collects and interprets what he hears. He is a stellar example of reproducing and adding to folk songs but also adapting and taking great pleasure from what he does. As far beyond the hobbyist as you can imagine, he is fully aware of his efforts to change the meaning, context and life of a song and put his indomitable spin on it. A wizard he truly is as he resides in a world of tales, half-truths, history and lore that through history are whispered from mother to son and father to daughter. You cannot help but be dragged in by the atmosphere and wonder. 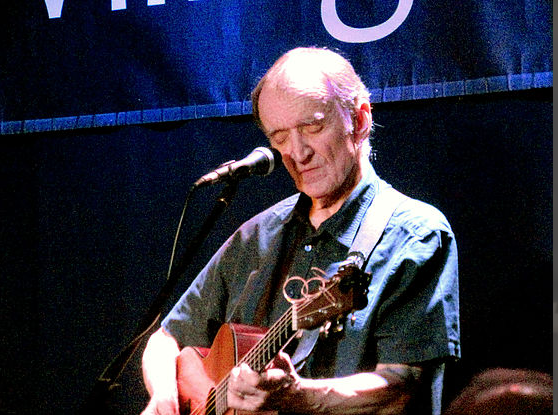 What does Martin Carthy play? He specialises in older songs, ones with a bit of legs to it that have been in our oral tradition for a long time. Nothing is quite as old-time and brimming with powerful energy as the deliberate and honoring “John Barleycorn”. It could be a very old song indeed, it could be much more recent than you think; opinion differs just as it does about the theme of the song. It could be a song about the death and resurrection of the Corn King or maybe just about brewing. Either way Carthy’s take has the sound of a song from history and quite unlike the modern age. His fingers strumming an ancient tone, his voice is like the village elder who keeps the law and keeps the community safe; all eyes point to the stage as Carthy explains the song a little. Even more intricate guitar work is seen in the militant, cyclic rhythms of “Downfall of Paris” another song from antiquity, but perhaps easier to confirm as a historical piece as it was played in the battlefield of Napolean’s armies. Carthy continues to tirelessly hold up these traditions and keep their fires alive and burning through the the arteries of the country. It is thankful he stopped a while in the centre, as some consider the Midlands where the heart is. Quite hypnotic and a sound to behold, his music is something else. I am especially pleased to hear Carthy’s version of “My Son John” which was performed under the “Imagined Village” super-group a few years back. One of the first takes of a folk song I ever heard, Carthy’s quiet emotion and spinning, melodic fingers coupled with the sharp political lyrics of the time is for me a distinct political and personal memory that is awakened. As a reimagining and contemporary take on the aforementioned John” who loses his legs at war into the (relatively) modern soldier who steps on a min in Afghanistan, it still has a punch that is only enhanced by a richer, more varied and extended set of lyrics. Another favourite of mine that he performs is “A Stitch in Time” (Mike Waterson’s song). Explaining it’s origins in Hull and the Daily Mail he interests and stokes the curiosity by telling us it is not the “urban legend” we may think it is, and is very much real. In short, the wife of a not too pleasant man gets her revenge on his physical manner by stitching him to his bed while he sleeps.. the kind of thought of that could wake you with a cold sweat in the middle of the night. I’ve heard Lucy Ward’s cover which slows things down a little and adds the malice to proceedings; it is especially good to hear Martin Carthy sing it as the dry narrator, gently mocking the man and celebrating this folk-horror retribution with his expressive voice. There were these and many, many more songs too such as traditional “Green Broom” and “Long John” too (who is especially tall and disliked by the King) with a number of narrative avenues that are visited throughout the course of the set. Telling stories as he re-tunes his guitar between songs (no rack of guitars in sight) and glows under the pale lights of one of Derbyshire’s most intimate venues, and the crowd loves him. A man with much to share and with a love for the genre that is rarely equalled he continues to cast a spell on the folk world. 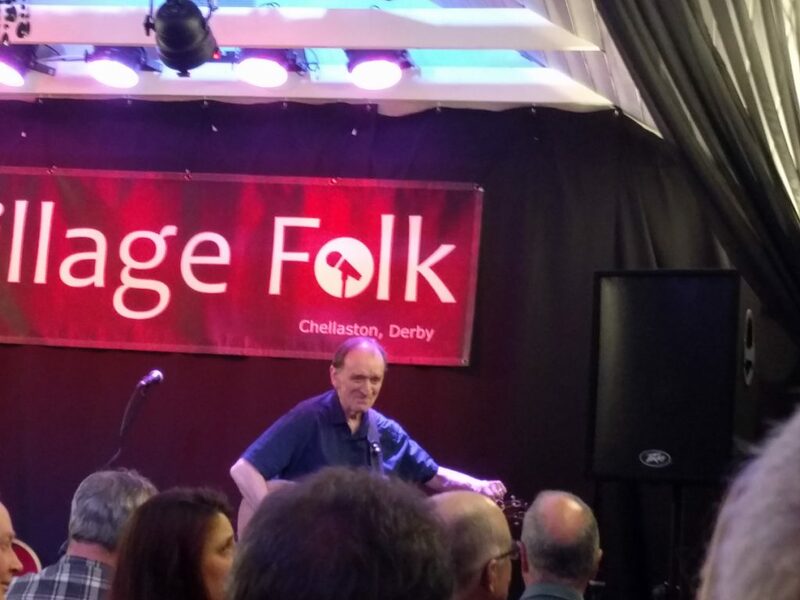 Martin Carthy is indeed continuing to tour the UK both at larger venues and Folk Clubs, see details here.